Mathematical problem | Math-n-Science = WAHOOO! Week three of the MTBos brings us to Questions 101. I enjoy reading Dan Meyer’s blogs, receiving his emails, and tweets. He shared this site a while back in the summer (or that was when I first stumbled upon it). The idea is to pose a picture and educators, or students can utilize the photos/pictures for a multitude of situations. 1. If one bird flies off, then three follow, then three follow each of those three, etc.. each minute, for 10 minutes, then how many total left? 3. 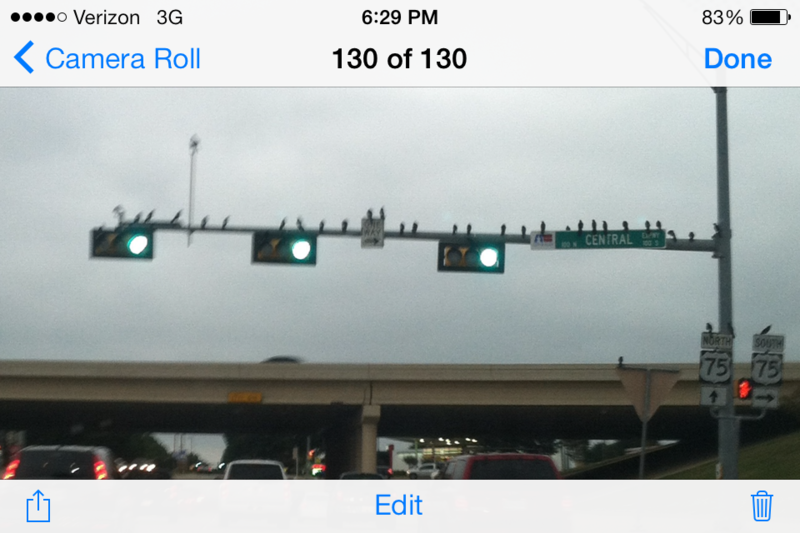 If the One way sign was the 0 on a number line, and each bird represented an integer, how would the equation look if we combined the birds together? I plan to keep asking students to create questions for writing prompts. I will also start asking students to critique other’s questions and see how we can improve both upon the math but also the writing aspect throughout this year. More to come!